Is India a banana republic? The answer is an emphatic ‘No’. Yet, why does a political stalwart, who and whose political party had the pleasure and privilege of ruling India for 55 years, publicly target and viciously denigrate the incumbent Indian Air Force chief? Why this humiliation? Especially, on a day, when the Chinese foreign minister, Wang, and a military delegation from Beijing are in town? How happy will the Chinese be? Will, they not celebrate? Elated to see helplessness of the dishonoured serving Air Chief. Let me begin with a caveat. I am neither from the armed forces nor a politician. Yet, being a professional in education and the government in the past, and now in the bar, my work took me all across; for more than four and half decades. Hence, as a concerned and conscientious Indian citizen, I write this piece out of agony and anguish, rather than anger. Is India a banana republic? The answer is an emphatic ‘No’. Yet, why does a political stalwart, who and whose political party had the pleasure and privilege of ruling India for 55 years, publicly target and viciously denigrate the incumbent Indian Air Force chief? Why this humiliation? Especially, on a day, when the Chinese foreign minister, Wang, and a military delegation from Beijing are in town? How happy will the Chinese be? Will, they not celebrate? 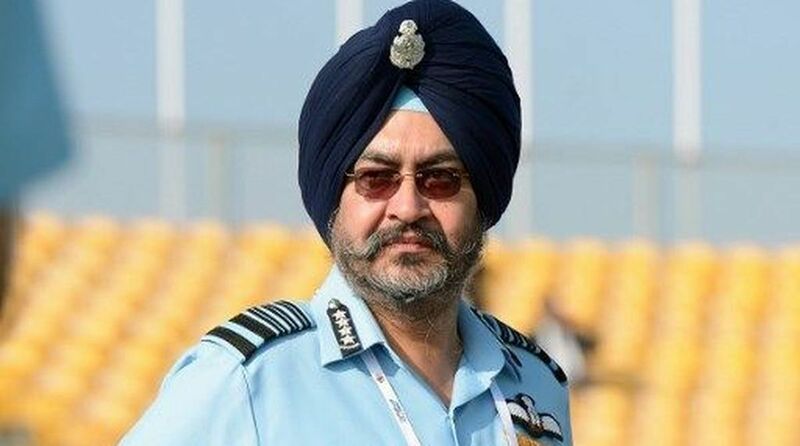 Elated to see helplessness of the dishonoured serving Air Chief, who just cannot reply to the politician owing to service conduct rules and who, under no stretch of the imagination, could be considered as either personal or professional friend of the Chinese PLA and its wings? The question here is what provoked the politician to react in the way he did? What are the (reported) words of the Air Chief? Well, this is what the Chief said ~ “I am not going to comment on the judgment but the Supreme Court has given a very fine judgment. It has also said that this plane is badly needed.” What and where do the “lies” and “suppressing the truth” reside or hide in the words of the Air Chief? How fanciful and verbose can our politicians be? The entire dialogue took place in public. The Chief was replying to the media; the visiting Russian Air Force General was also present. Then what should have been the ‘truthful’ and ‘ideal’, and not ‘lies’ of the Air Chief? “Castigate” the Supreme Court in public? Criticise? Wail? Whine? Complain? Crib? Cry, before the foreigner? As some of our countrymen are so used to do, since 1947? The historical propensity of some Indians has been to truthfully help foreigners in invading India to harm their own brethren since time immemorial. The Air Chief was categorical ~ “I am not going to comment on the judgment.” He emphatically reiterated that “this plane is badly needed”. What else could he say? That this plane is not needed at all? That we are fine? That India is already a superpower which is capable of taking on anyone, any day, anytime, anywhere, any place? Look at the irony. If the Air Chief says “no comment”, he will be branded as dumb (a dumbo). If he says the “Supreme Court has given a fine judgment”, he becomes a damn liar. If he says the judgment is “not good”, the world would condemn him ~ “Sue him for contempt of court”. And finally, if he says something else, there would be an advisory: “please don’t get into terrain which isn’t yours” and some others would say “he has crossed all limits”, “Talks too much”. Thus, there still exists a structural fault line in the psyche of some members of the ruling class of India. Defence, barring few exceptions, has never been the forte of most who held fort thereof. Thus, from 1947 to 1962 India allowed her defence to drift. As if things could go on as long as it remained in “status quo ante bellum” mode. A policy of benign indifference, coupled with the creation of a band and brand of “courtier soldiers” in the precincts of Lutyens’ durbar of new nawabs of India. Why? Because India is a land of Buddha and Gandhi, the ultimate apostle of ahimsa (non-violence). Understandably, it did not take long for the hallucination of non-violence to be shattered, when Communist China of Mao battered India in 1962. Result? The vanquished ‘courtier soldiers’ could not hide either their face or their performance despite last-ditch attempted protective custody of/by high and mighty. It was a scenario equally humiliating for the Indian ruling class too. But who dare touch them? Despite the applicability of the famous lines of Alfred Vagts pertaining to Indian rulers ~ “Again and again, military men have seen themselves hurled into war by the ambitions, passions and blunders of civilian governments, almost wholly uninformed as to the limits of their military potential and almost recklessly indifferent to the military requirements of the war they let loose”. What a poignant, pointed, precise paragraph? Does it resemble the failure and arrogance of successive ruling classes of India? Indeed. Contemporary history from 1947 to the present shows that Indians can insult their service chiefs in public, but on several occasions meekly submit before foreigners at a diplomatic table. China is a classic example even today. Wang is in India to talk: “people to people contact” being the main focus. Most Indians don’t know Chinese language, history, culture, psyche, (except perhaps Hiuen Tsang and Fa Yien), but would go gaga over Beijing. China is, on the other hand, sabotaging India day in and day out through trade; across Indian territory (penetrating through Jammu & Kashmir), and through terror (by conniving with and supporting Pakistan). All for hegemony. The latest report shows CPEC is basically for military operations and deployment. Since China couldn’t persuade and cajole India to join BRI, it is now on an all-out assault to enter deep inside India knowing very well India’s love for foreigners and foreign goods. A trait which is diametrically opposite to the Chinese who consider each and every foreigner to be a barbarian even today. And India too falls under the same category of Chinese psyche and thought. But who cares? India is also the land of Ramayana and Mahabharata. The Ramayana has seen the king’s family politics leading to the forced eviction of the eldest son of emperor Dasaratha, Lord Rama, to wander around the jungles of the countryside for 14 years and fight a war to rescue his kidnapped wife by a foreign ruler. Mahabharata, on another hand, was a bitter fight to finish the civil war between first cousins for the kingdom. Such ‘situations’ have been placed to make a point. 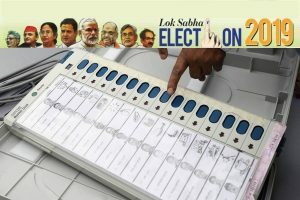 That, instead of abusing and accusing a Service chief, the politicians of India would do better to fight their political battle with the rival politicians and keep the professionals of the country out of their ‘battle royale’ on the eve of the general elections in India. Please prepare to fight a war, not a civil war through the public humiliation of the incumbent Air Chief. Why give the upper hand to a foreign adversary? The writer is an alumnus of National Defence College and the author of China in India. The views expressed are strictly personal.